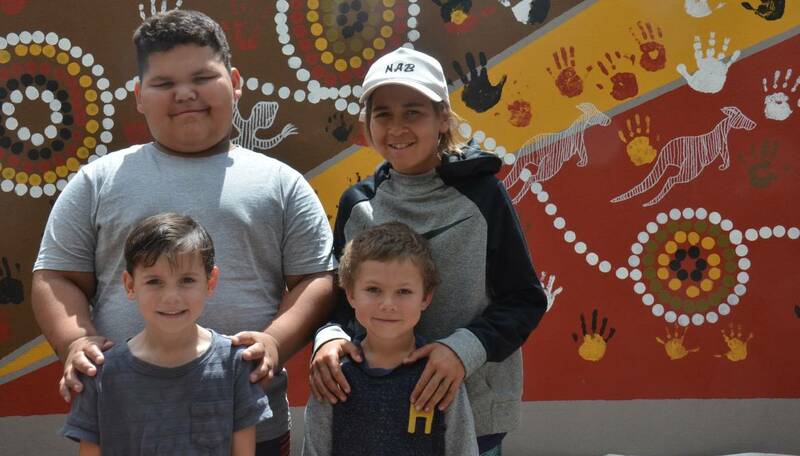 5.NT : Safer Communities: Boosting Youth Programs Grants of up to $20,000 each are available for community projects or initiatives aimed at preventing substance misuse by our Territory youth. 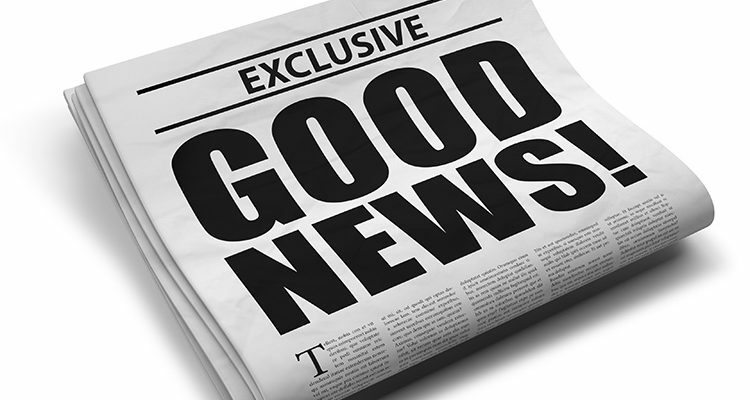 How to submit a NACCHO Affiliate or Members Good News Story ? Sort out money problems – Follow the journey of Lisa, who is struggling to stay on top of her bills and seeks help from a financial counsellor. Lisa shows there’s no shame in asking for help if you’re struggling to pay your bills. Deal with family pressure about money – Uncle Charlie gets a big payment and is pressured by family to help them out with this money. Charlie helps his family realise he needs to make his money last so he has money for them when they really need it. ASIC has a dedicated Indigenous Outreach Program (IOP) which aims to increase Indigenous Australians’ financial knowledge, and improve the financial services provided to them. These videos were created after the IOP spoke to people in Indigenous communities who said they felt shame about facing their debt problems and did not know where to go for help. They also said they were struggling to deal with pressure from family and friends when it came to managing and sharing money. Share these videos with as many people as possible, in urban, regional and remote communities. The videos can be played in medical centres, local community or resource centres, and community stores. Please also share this email with your network. If you have any questions about the videos, please callASIC’s Indigenous Helpline on 1300 365 957 or email feedback@moneysmart.gov.au. Australian Aboriginal and Torres Strait Islanders conducting health research and/or are completing a course/degree on health research are invited to take part in a research study reviewing progress of the research workforce. Participation involves a survey on experiences of research training, work transitions and views on strategies for strengthening research capabilities. The project is led by Aboriginal academics at the Melbourne Poche Centre for Indigenous Health and funded by The Lowitja Institute. 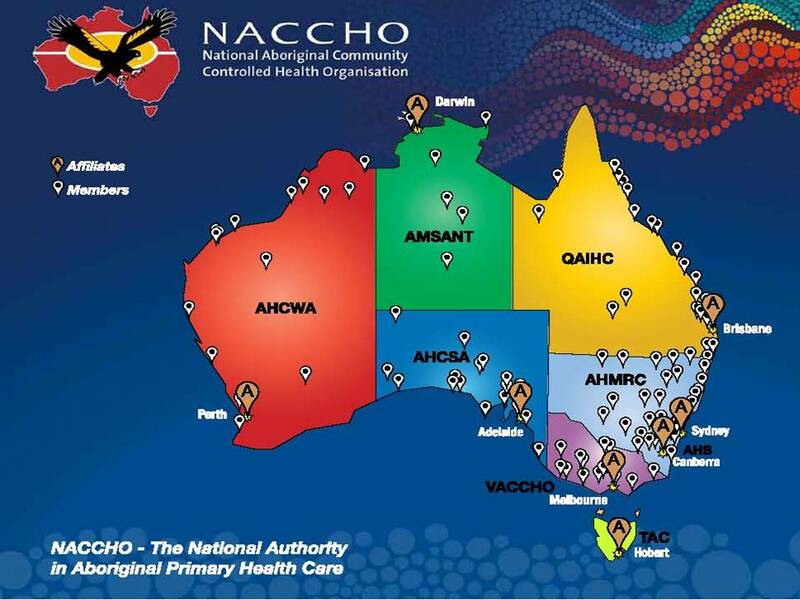 Findings will inform further expanding and strengthening of the Indigenous health researcher workforce, a critical avenue to better health outcomes for communities. The principles of self-determination are a welcome and integral part of the Victorian Government’s new Victorian Aboriginal Affairs Framework 2018-2023 (VAAF), according to the peak body for Aboriginal health and wellbeing in Victoria. 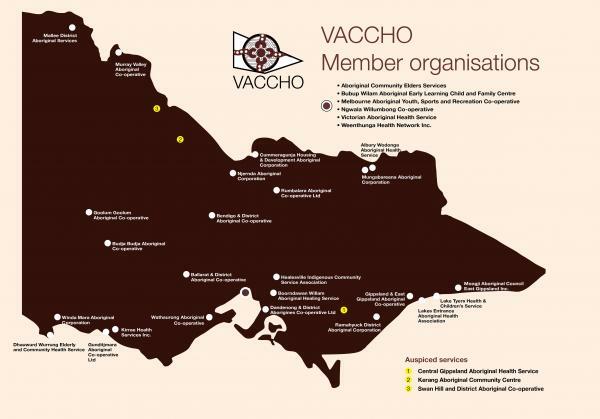 Victorian Aboriginal Community Controlled Health Organisation (VACCHO) Acting CEO Trevor Pearce said the new VAAF was more progressive than previous Aboriginal affairs policies. 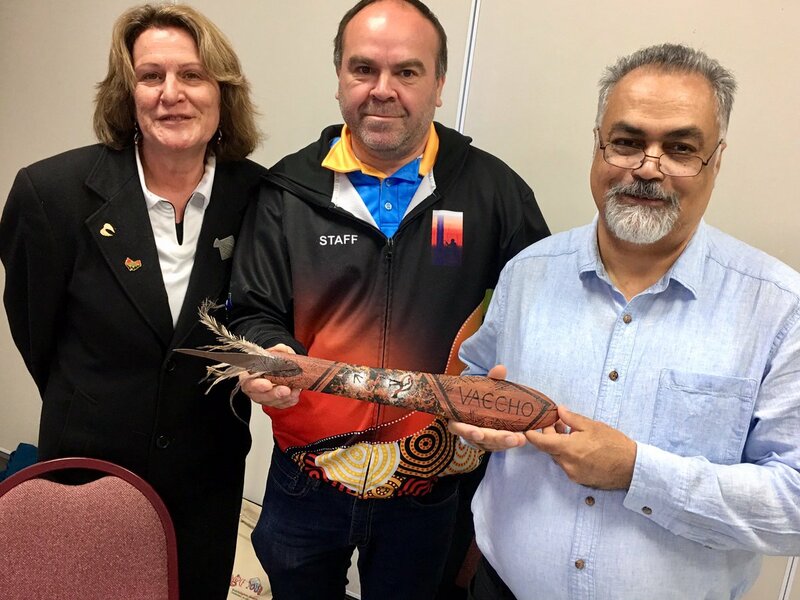 Picture above Acting CEO Trevor Pearce Thanks Njernda ACCHO for hosting the VACCHO Members Meeting in Echuca this week, and for this beautiful Message Stick. “Self-determination is proven to be a fundamental part of Closing the Gap for Aboriginal people, with its strong link to improved health and wellbeing outcomes,” Mr Pearce said. “So we are really pleased to see it recognised for its importance and threaded throughout the new VAAF. “We’re also really pleased to see the elimination of systemic racism and structural barriers highlighted in this VAAF. Mr Pearce said it was pleasing to see a holistic approach to Aboriginal health and wellbeing taken in the VAAF. 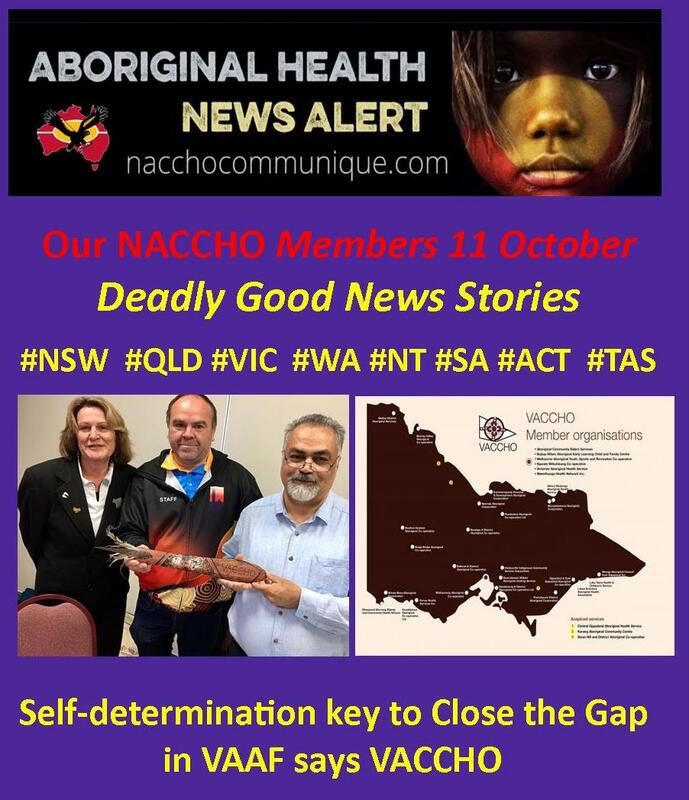 However, he said it was disappointing that the importance of Aboriginal Community Controlled Organisations (ACCOs) was not highlighted in the Health and Wellbeing domain of the document. 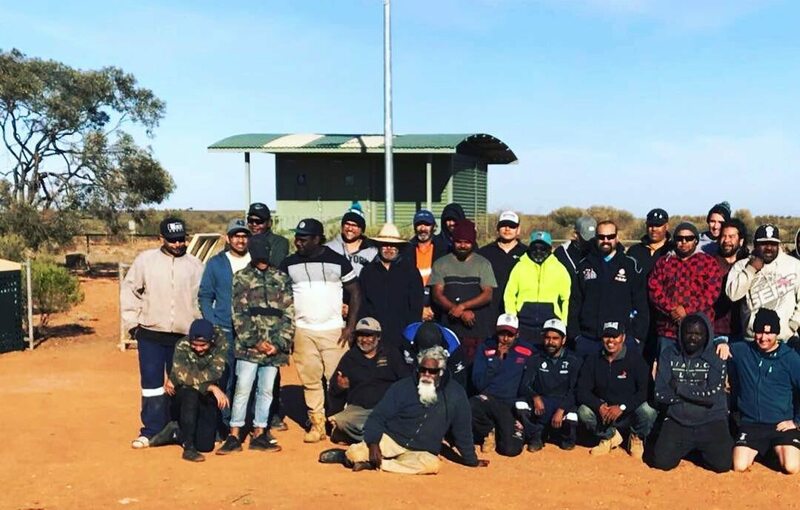 “ACCOs being community-controlled organisations is a key part of self-determination, and we wanted to see that emphasised in the VAAF’s Health and Wellbeing domain,” Mr Pearce said. “Community-controlled health organisations have been running successfully since the1970s and they deserve respect and recognition of what they have achieved and will continue to do so. Mr Pearce said he hoped future plans such as VAAFs would have ten-year lifespans to map further into the future and achieve more beyond political cycles. “There’s a lot happening in Victoria right now with Treaty and this VAAF and other plans and priorities, which is great,” he said. “And then we have the Uluru Statement from the Heart and the Redfern Statement on a national level, so we need to get beyond talking and start working on making these things happen. Thanks to everyone who didnt smoke at the event. An agreement between Queensland Health’s North West Hospital and Health Service, Gidgee Healing Aboriginal Community Controlled Health Service and Western Queensland Primary Health Network aims to better meet the health needs of Aboriginal and Torres Strait Islander peoples in the Lower Gulf. The Lower Gulf Strategy will integrate the health system at every level. It will allow Aboriginal and Torres Strait Islander people to participate in decision making affecting their health, and ensure health services are structured around the needs of the individual, family and community. There will be a strong focus on preventive health care and encouraging healthy lifestyles. The Lower Gulf Strategy will provide comprehensive primary care to the three Lower Gulf communities of Mornington Island, Doomadgee and Normanton, as well as seamless referral pathways for specialist care. Gidgee Healing, as a regional Aboriginal Community Controlled Health Organisation, will lead change through a greater community-controlled model of care, and will provide greater cultural integrity within programs and services. Implemented late last year, the Lower Gulf Strategy aims to: reduce chronic disease among the Mornington Island, Doomadgee and Normanton communities and prevent young people getting chronic disease; transition Community Health Services to community control (Gidgee Healing); improve access to child and maternal health services; improve access to mental health and substance abuse services, particularly for children and youth; and increase the number of Aboriginal and Torres Strait Islander staff employed in the health services in these three communities. 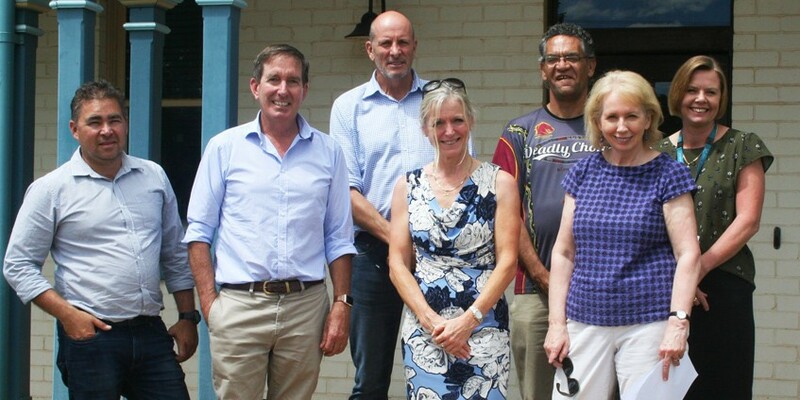 The North West Hospital and Health Service has been working with the Western Queensland Primary Health Network and Gidgee Healing to provide comprehensive primary care. On Mornington Island, Gidgee Healing is co-located with the Hospital and Health Service at Mornington Island Hospital. 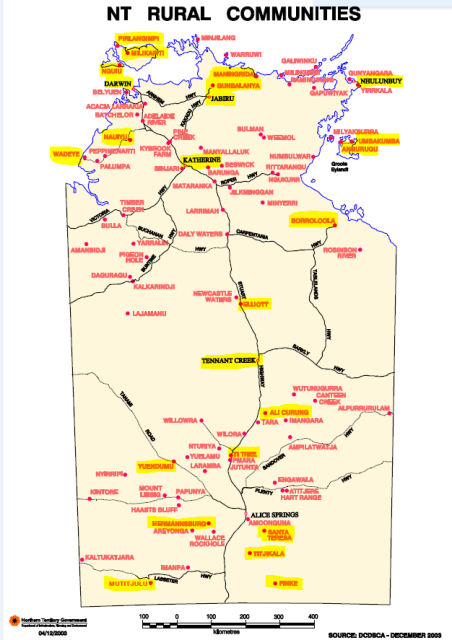 In Doomadgee, the two services are also co-located. In both locations they are squeezed for space. In Normanton, Gidgee is located at its own health hub in town, but the two teams work closely together. With a greater emphasis on primary care and disease prevention in the three communities, the teams have developed new ways of working. Key features of the model are partnerships across the health continuum with patients, family/carers and care teams; customised care around patient goals; and working with local providers to best care for patients’ needs. It promotes flexible team based care supported by a shared workforce, central care coordination, access to health literacy and self-management, and sharing of information. Challenges are real but surmountable. 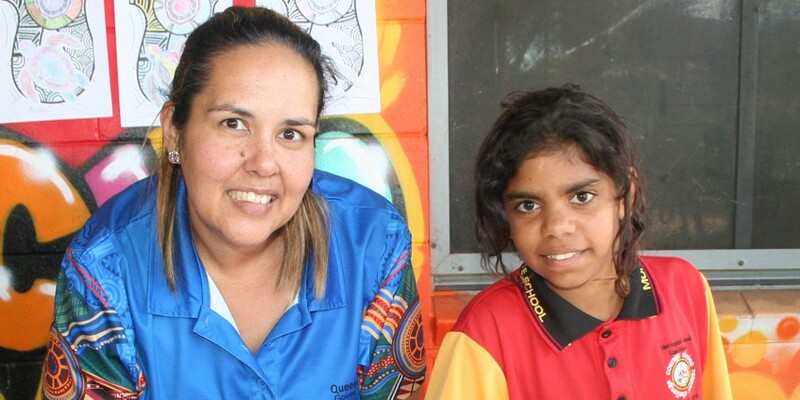 More clinical services space is needed in Doomadgee and Mornington Island. The main entrance to health services needs to be in primary care, as our focus is on prevention and primary care. There is very limited staff accommodation in Doomadgee and Mornington Island. The two services are working together to source capital funding to improve the infrastructure. Early indicators of success in all three locations are the increasing numbers attending Gidgee Healing for primary health care and a subsequent drop in presentations to the hospital. This signals that the focus on primary and preventive health care is resonating with the communities. People are seeking health services earlier and more regularly, rather than waiting until their conditions are chronic or acute before seeking help. Staff in the three organisations are working together to overcome the barriers to better health outcomes for the people they serve. The cultural activity was teaching the children about being positive, and was also a great confidence builder. “The program we manage is all about that. It’s like an early intervention and prevention approach about doing positive things and respecting their elders and their parents,” she said. 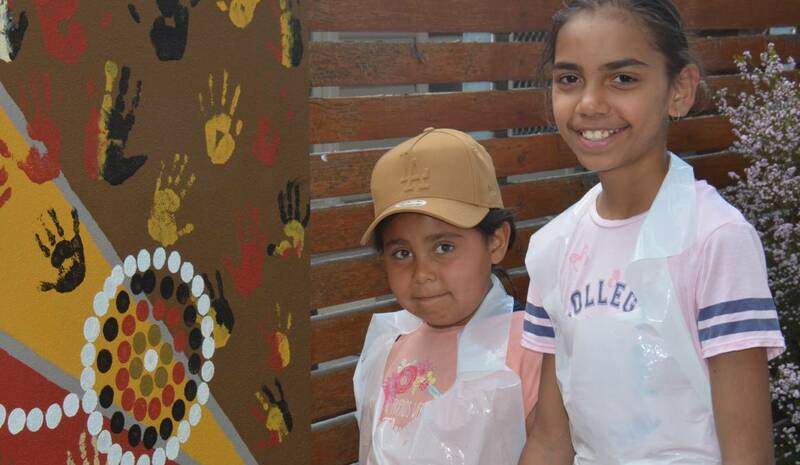 A group of children participating in an Aboriginal Youth Program managed through the Armidale Aboriginal Health Service painted two external, bare, cement walls at the Pat Dixon Centre with murals of traditional artwork on Wednesday morning. Work was supervised by Glen Innes artist Lloyd Hornsby, who said the mixture of colours the children decided to use was not an easy mix to apply, and they had done some really good work to bring them all together. 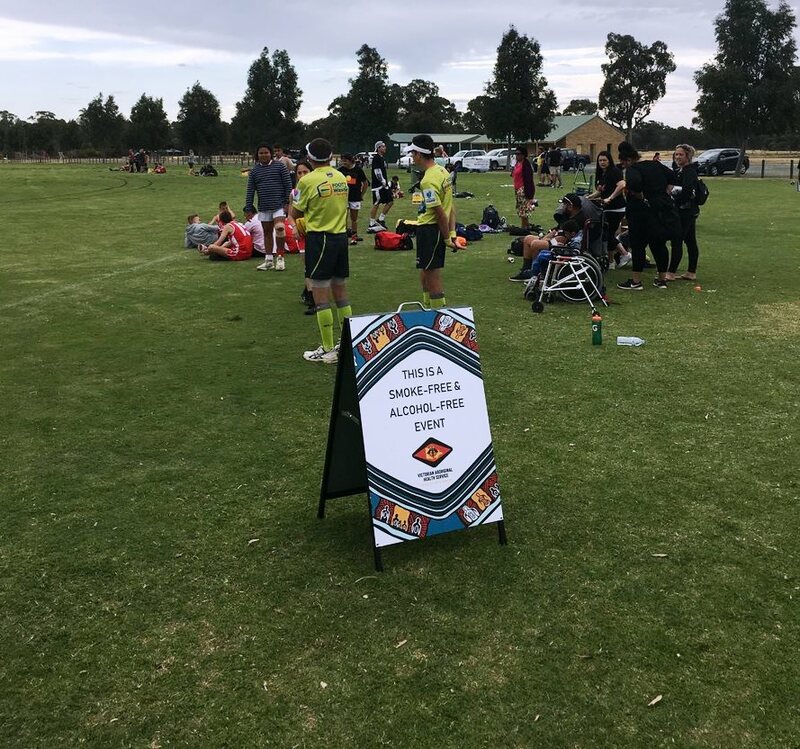 Program co-ordinator Cynthia Briggs said Wednesday was the second day of organised cultural activities for Aboriginal youth in Armidale that is run by the service every school holidays. “We got an Aboriginal artist Lloyd Hornsby to direct the children in the designs that are on the murals,” Cynthia said. “They were really plain walls and we’ve turned then into something that the kids can call their own, and that was the idea. The Territory Labor Government is investing in our youth and creating safer communities by providing grants through the 2019 Alcohol and Other Drugs Youth Grants Program. Grants of up to $20,000 each are available for community projects or initiatives aimed at preventing substance misuse by our Territory youth. Northern Territory based incorporated organisations or community groups are eligible to apply. Grants will be provided by the Northern Territory Government through the Department of Health’s Mental Health, Alcohol and Other Drugs Branch. A total of $280,000 is available to be awarded this round. Visit www.health.nt.gov.au for further information, eligibility criteria, and to submit applications, or phone 8999 2691. Applications for the grants close 5 November 2018. The Territory Labor Government is putting children first and creating safer communities through a range of grants available, designed to prevent substance abuse. The CLP cut a range of youth programs when they were in government, leading to the issues which we are now dealing with. 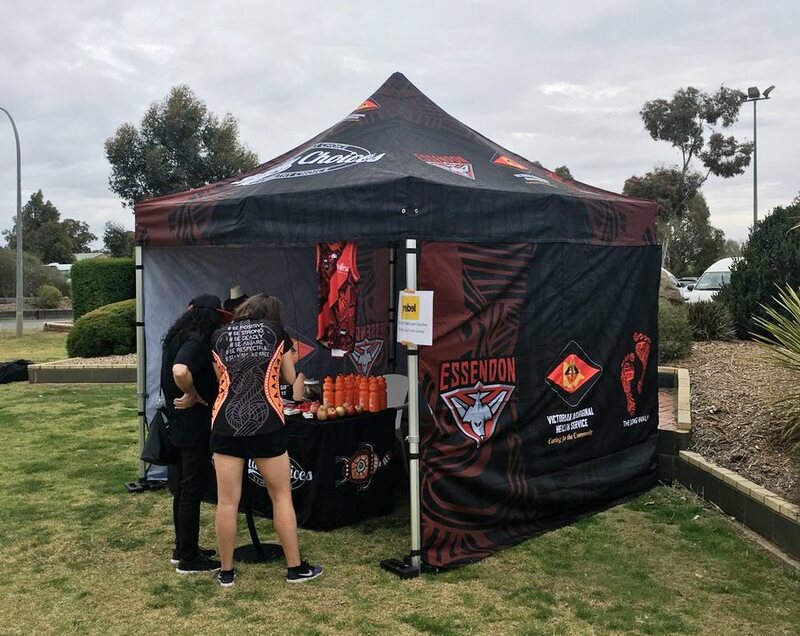 The Alcohol and Other Drugs Youth Grants Program delivers on the Territory Labor Government’s promise to reinstate funding for activities aimed at reducing the impact of youth substance misuse. Projects that work with young people to reduce alcohol consumption during pregnancy and raise awareness about Foetal Alcohol Spectrum Disorder (FASD). The Territory Labor Government will continue to invest in our youth and promote a better lifestyle to ensure they are engaged and are given every opportunity to become law abiding adults. 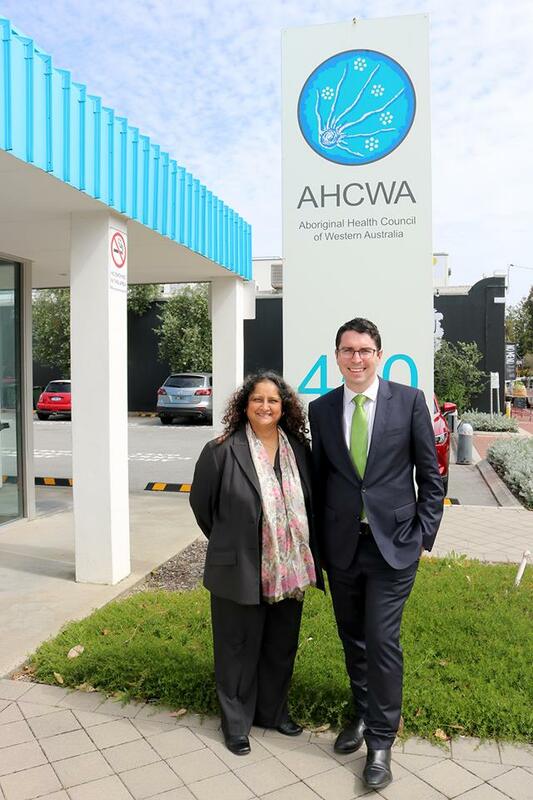 As the newly elected Federal Member for Perth, the Hon Patrick Gorman visited the Aboriginal Health Council of WA yesterday to meet the staff, tour the facilities and learn about the valuable work we do to improve the health and wellbeing of Aboriginal people across WA.